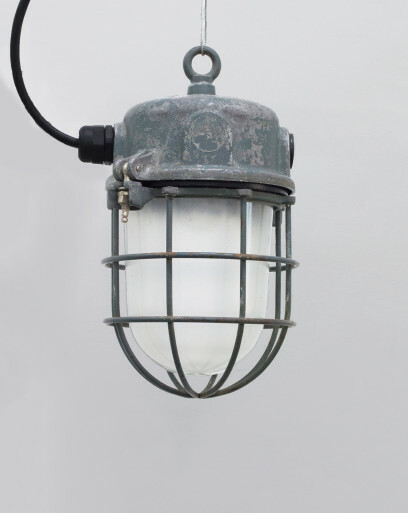 The green-colored Marine Iguana consists of a cast-aluminium body, and a protection cage, holding its thick translucent glass dome. 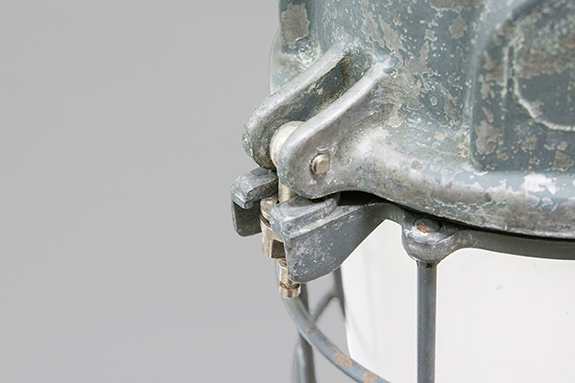 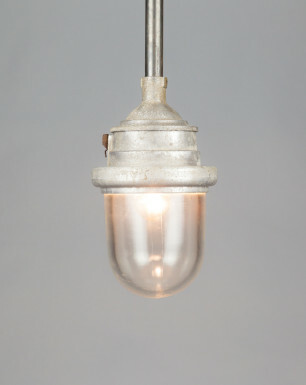 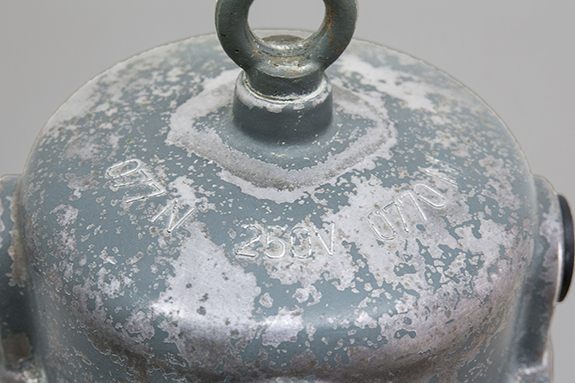 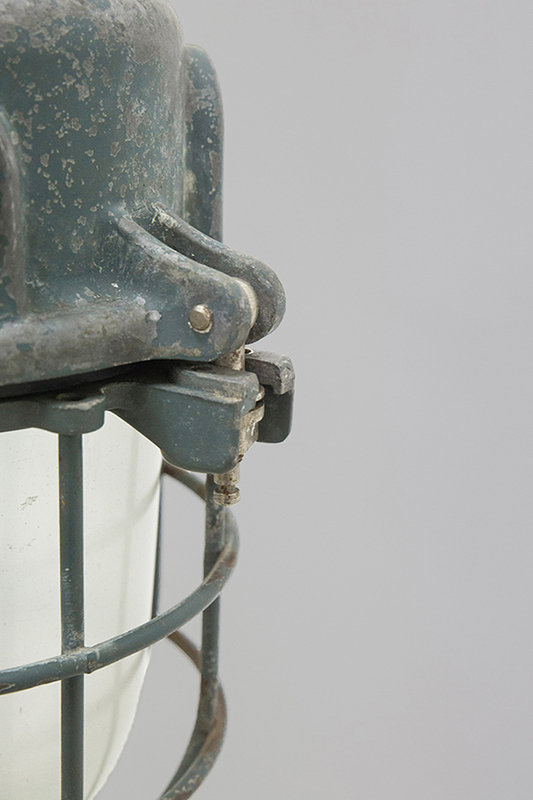 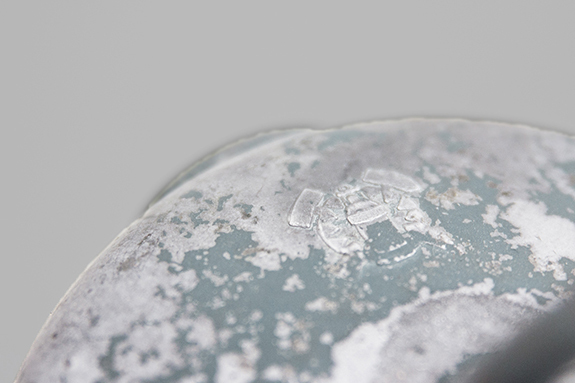 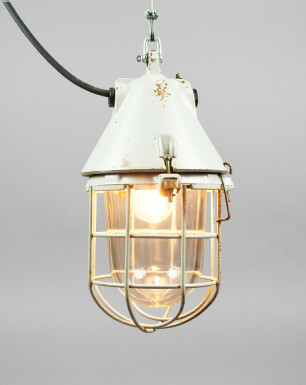 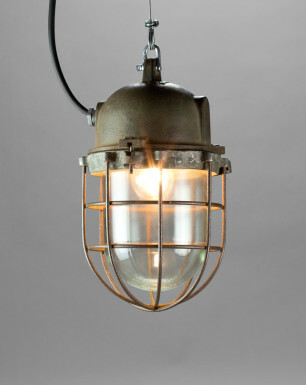 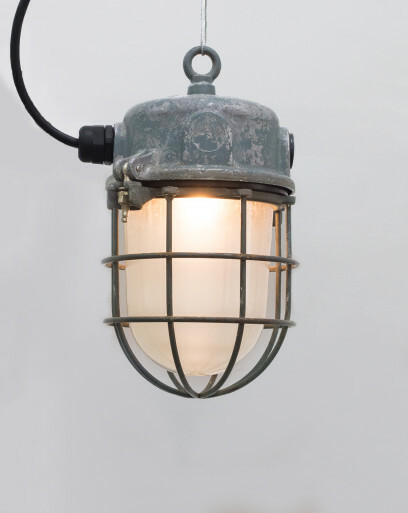 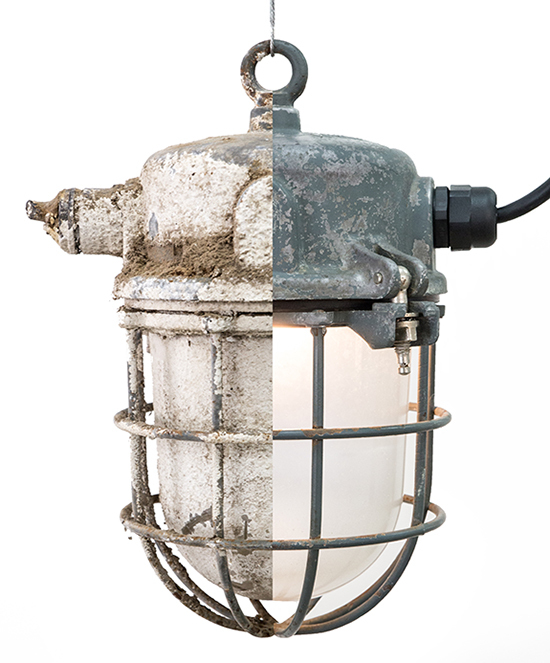 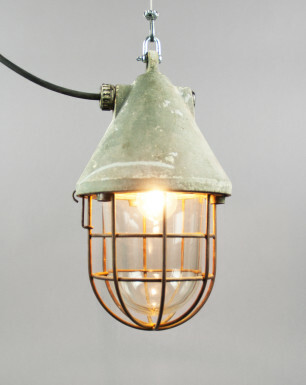 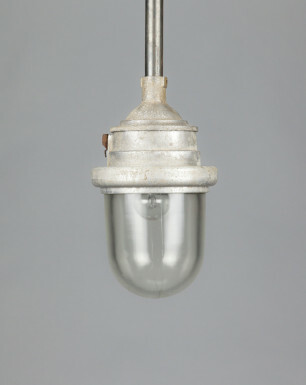 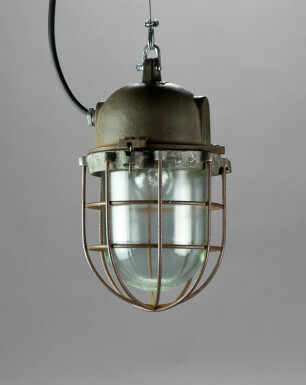 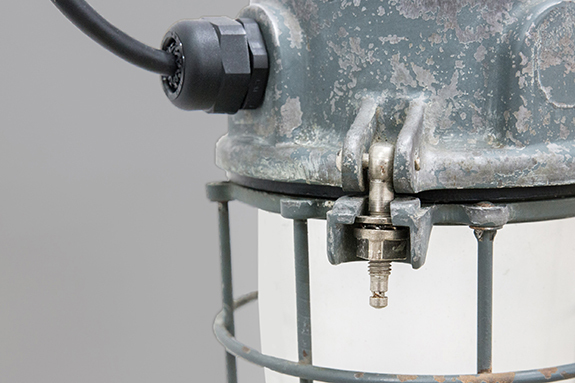 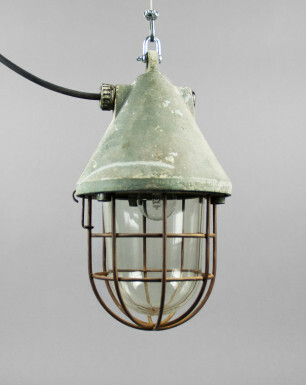 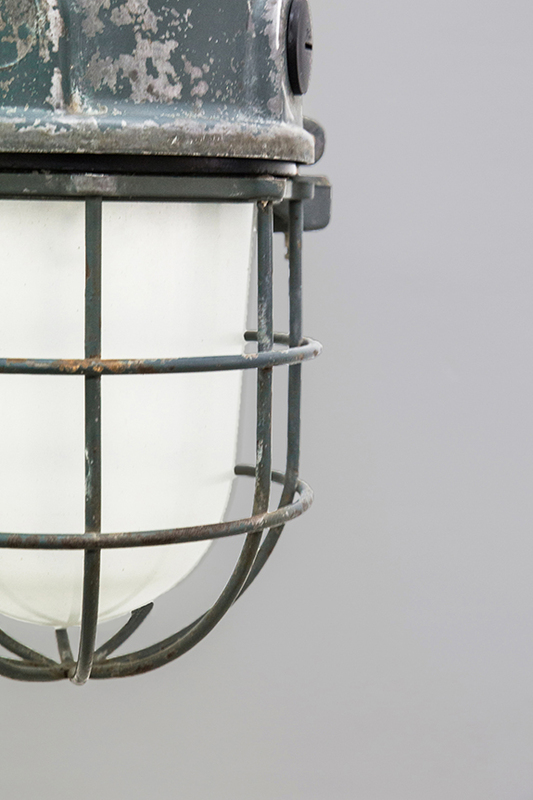 The lamp belongs to the family of ‘explosion-proof’ fixtures, and has been designed to be used in the mining industry, which is illustrated by the ‘Gluck Auf’ logo embossed in the lamps body. 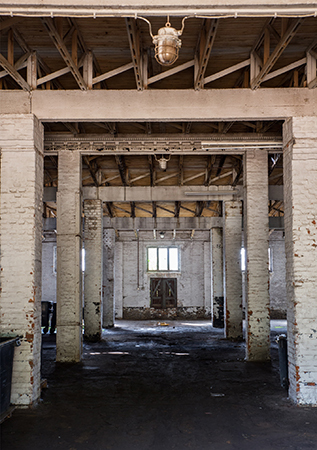 The Marine Iguana was found in one of the warehouses of formerly state-owned agricultural company in former East Germany. 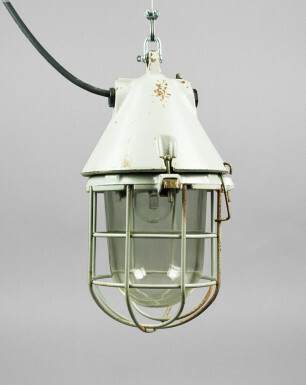 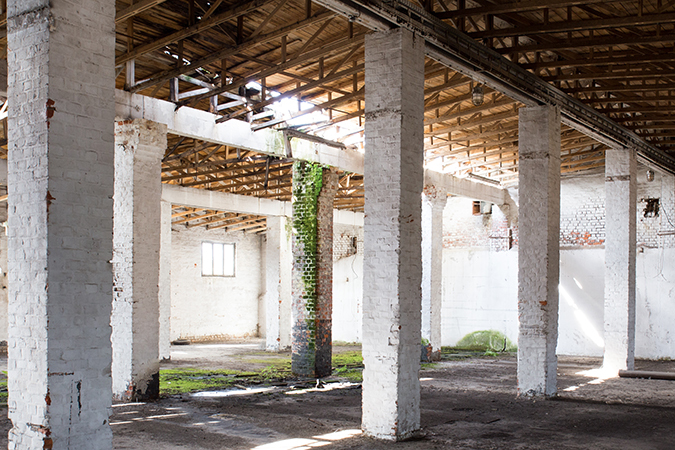 The building functioned as a storage for inflammable fertilizers, justifying the use of explosion-proof lamps.